Secure, protect, and isolate circuit breakers, panels, and other electrical equipment in your facility with electrical lockouts. 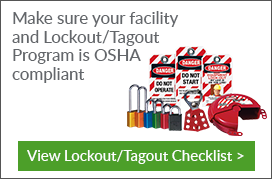 For industrial companies and establishments, an electrical lockout is an essential and versatile lockout/tagout tool for the workplace. It aids in effectively controlling hazardous energy sources, prevents accidental re-energizing of breaker switches, grounds electricity, and successfully tagout equipment. Seton’s wide selection of electrical lockouts meet regulation standards, so you are assured you and your workers are protected. 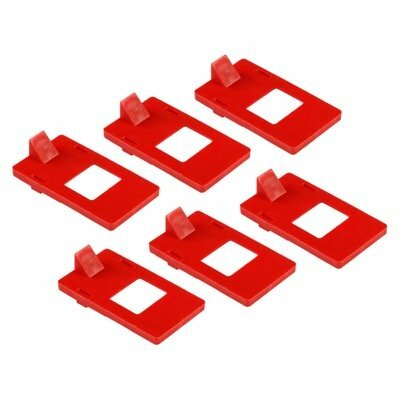 Miniature circuit breaker lock-outs install easily in minimal time without the use of tools. 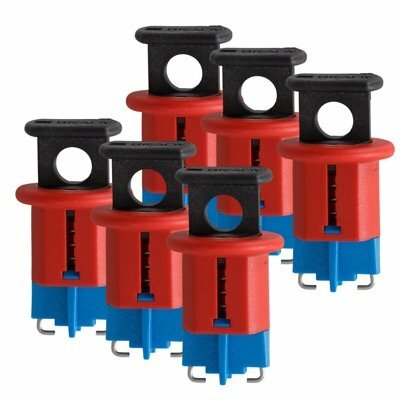 Fuse lock-out devices prevent accidental removal from fuse block. For use with 13/16",1-1/16", & blade-type fuses. Highly visible for enhanced safety. *Are provided by the employer. *Are standardized by shape, size or color. *Are easily identifiable from locks used for other purposes. Lockout locks should only be used for lockout. *Identify the authorized personnel who applied the lock. *Are capable of withstanding the usage environments and are heavy-duty enough to prevent unauthorized removal. Remember, whenever lockout devices are applied, they must remain under the exclusive control of the individual who attached them. No employee shall have access to a lock that they didn’t attach themselves.